The negative effects of gambling can destroy the entire family. What starts as fun at the casino, or a night out with the boys becomes a living nightmare. Lies, manipulation, lack of trust – and after it's over -- remorse -- all the promises Never to do it again…..until the next time. This is similar to all addictions, but with gambling, you can hide it. You can’t see the gambling in their eyes or smell it on their breath so the problem is often only discovered in a crisis. Mental health issues – depression, anxiety, diminished self-esteem, increased alcohol, drugs, suicidal thought and even suicide. Physical health problems –insomnia, headaches, back or neck pain, stomach upset and numerous other ailments. Self-care –not eating right, poor sleep habits, personal hygiene etc. Social issues – arguments, relationship issues, alienation, separation, divorce, physical or mental abuse etc. Financial problems – job loss, pressure of debt and paying loans and bills, bankruptcy. Legal problems – theft, fraud, arrests, jail. School/work problems – absenteeism, decreased productivity, lack of interest. If you are living with an addict or are related to one, I’m sure you can add to this list. The addict puts the family in financial crisis. This is a huge burden and the negative effects of gambling can lead to ongoing debt and losing your house. Lying covering up and making excuses for his/her behavior. Mental health problems anxiety, depression, anger, resentment, embarrassment, exhaustion and self doubt. Physical problems insomnia, ulcers, digestive problems, headaches, neck and back pain and other stress-related health problems. Self-esteem issues feeling of helplessness, insecurity, being overwhelmed and even feeling that they are responsible. Role reversalchildren taking care of parents, parents overprotecting their children, partners performing all of the household tasks that they previously shared, lack of sexual and emotional intimacy. Verbal and physical abuse this leads to continuous arguments, loneliness, separation and divorce. Caring for yourself There may be so much focus on the gambler, family members may neglect themselves. I often tell my clients ‘you’re a person too’ and they seem surprised to hear it. There’s never any time for themselves. Friends and co-workers also pay a price. They are manipulated into lending money. There’s the lying, covering up and making excuses for the gambler’s behavior. They may suffer verbal as well as physical abuse and even financial problems when they're money is not repaid. Help is available and even recovery. There are help lines that are open for immediate crisis. 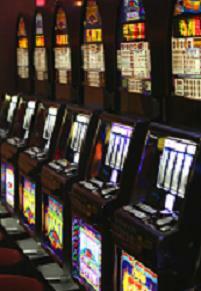 Gamblers Anonymous provides support and you may even be able to get financial counseling. There are inexpensive rehabs that specialize in this addiction. These are often funded by the government, “to help” with the problem. But they don’t contribute anywhere close to the amount of funds that they make from this addiction. And then there are specialists such as myself whom you can consult. Are you in denial or are enabling a gambler? Are the negative effects of gambling driving you crazy? If you feel desperate, counseling, coaching or a consultation can be a invaluable.